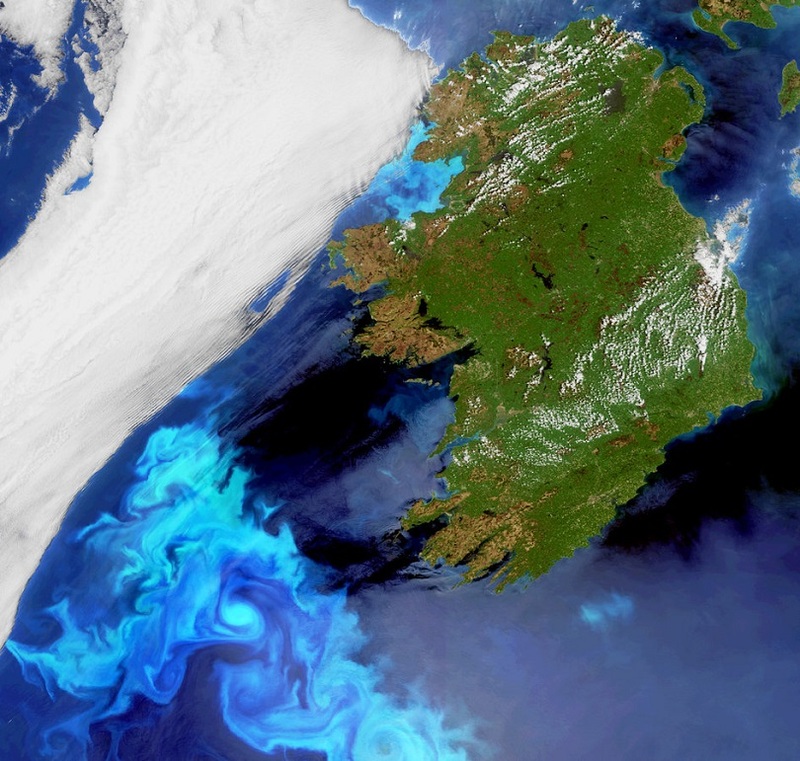 The seasonal changes in the Celtic Sea primarily revolve around the development of water column stratification in spring and when it breaks down in late summer to early autumn. Right now in March, the Celtic Sea is fully mixed, however with the days getting longer and warmer (we hope), the surface of the Celtic Sea is also warming. 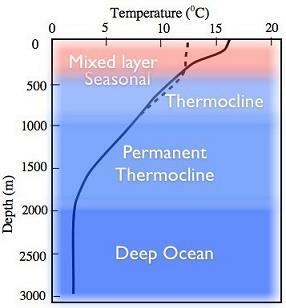 As the surface warms its density decreases and the water becomes lighter compared to the colder waters below which don’t have access to the suns heat. (Fig 1.) To help watch for these changes we have a daily set of sea surface chlorophyll and temperature satellite images sent from the NEODAAS team at PML to the ship, and any developments of blooms and changes to the temperature can be seen as they occur. This will eventually result in the creation of two distinct bodies of water, with a warm surface layer resting above a colder layer below, much like a cocktail which often have two or three coloured layers sitting on top of one another. As well as causing the onset in stratification, the increase in temperature and sunlight also causes a truly massive increase in the number of phytoplankton in an event known as a plankton bloom [many plankton blooms are so large they can be seen from space! (see Fig.2)]. 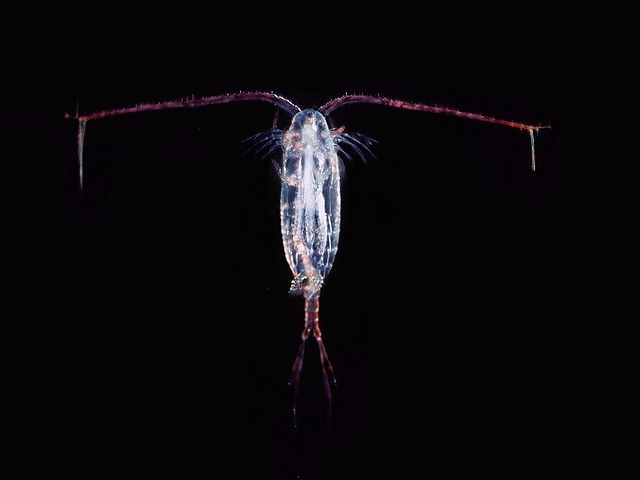 This results in a feeding frenzy as zooplankton (Fig. 3) numbers surge and they are in turn eaten by other organisms, passing the energy down the food web. The phytoplankton bloom starts just before the onset of stratification, and then continues in the surface layer as the water there is warmer and receives much more sunlight. Eventually the phytoplankton will use all of the nutrients available in the surface layer and most of the plankton will die off. When this happens their cells will fall through the water column, causing a large increase in the biological material available on the seabed. When stratification breaks down at the end of summer, the water column in the Celtic Sea is again fully mixed. The bottom layer of water is still nutrient rich and these nutrients are also mixed into the surface of the water column, and become available for photosynthesis. This causes a smaller phytoplankton bloom at the end of summer before the days darken, and the cycle is complete.